This is a simple, no-cook dessert recipe, which is perfect for Christmas parties. 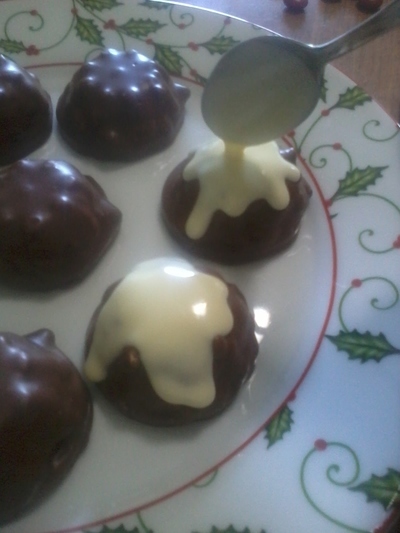 The rounded shape of the chocolate biscuit resemble a plum pudding, while the melted white chocolate poured over the top looks like custard. 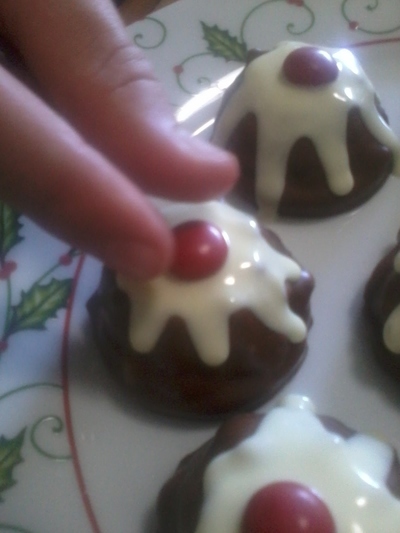 The M&M completes the faux pudding as a cherry on the top. These are very yummy and will appeal to kids of all ages! Open the packet of biscuits and arrange on a serving plate. 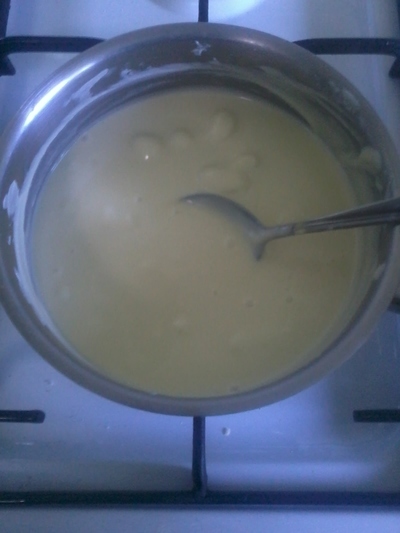 Next, melt the white chocolate in a saucepan over a low heat until no lumps are visible. Carefully drizzle about a third of a teaspoon of the chocolate over each of the biscuits. Add enough so it pours down the sides like in the picture. 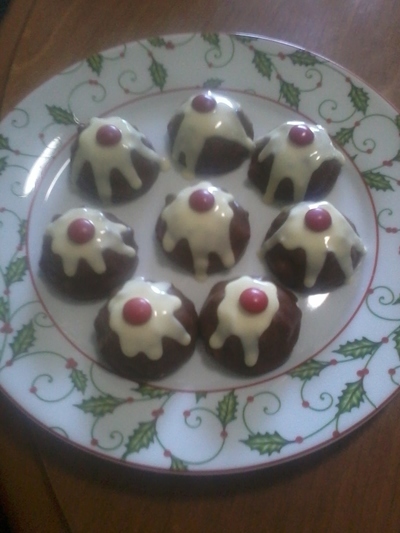 Then top each one with a M&M and refrigerate until the chocolate is set.